The word 'tinnitus' comes from the Latin word for 'ringing' and is the perception of sound for which there is no external sound. It is not a disease or illness. The noise may be in one or both ears, or can be described as a sound in the head. The noise may be low, medium or high pitched. There may be a single noise or two or more components. The noise may be constant or it may come and go. There are some obvious causes of tinnitus such as ototoxic medication, menieres, head trauma, and exposure to loud noise. 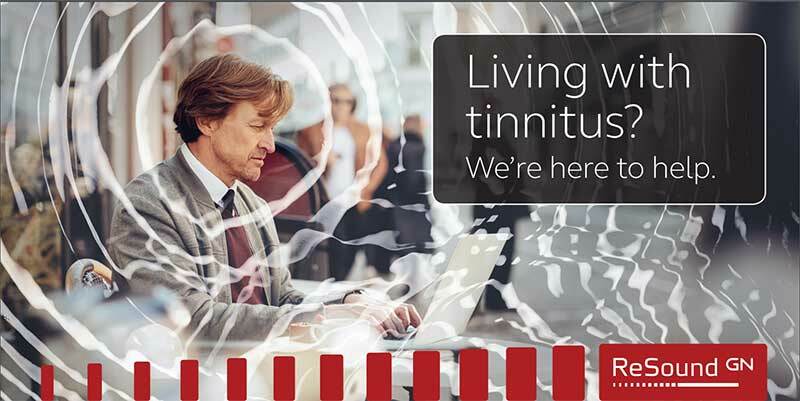 A temporary tinnitus can be caused by manageable conditions such as impacted ear wax. Tinnitus is common. Almost everyone notices a mild form of tinnitus once in a while that only lasts a few minutes. For example you may hear somebody comment on having a ringing in their ear after a concert. However, for some people their tinnitus is persistent and debilitating. If you suffer from tinnitus, this relief app is free to download has been known to help a lot of people manage their tinnitus. The ReSound Relief™ app uses a combination of sound therapy and relaxing exercises that aim to distract your brain from focusing on the tinnitus. Over time the brain learns to focus less on the tinnitus, and more on sounds that are important to you. 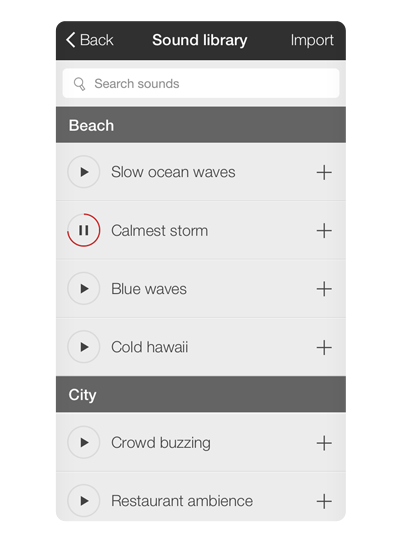 The app lets you manage your personal library of sound therapy files. 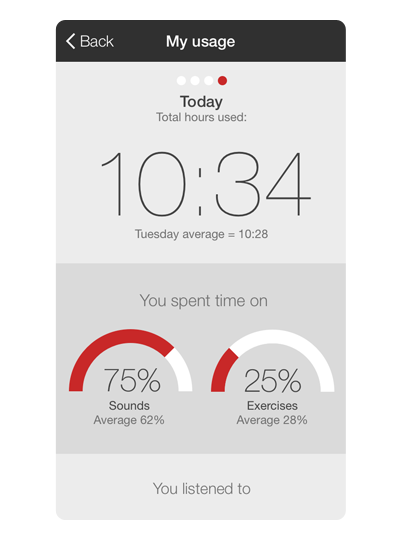 It will also track your usage, so you can see which sounds work best for you and it contains some secondary stimuli like colours and audio exercises to help keep your mind occupied. Use the app when your tinnitus feels overwhelming, or when you simply want to introduce background sounds to help distract you from your tinnitus. During Tinnitus Awareness Week the 6th to the 12th of February, we will have the app available at reception to give demonstrations on how to use the app. All in all, the app combined with their outstanding hearing aids is a fantastic tool to beat the effects of tinnitus on your day to day life. So lets look at the app screens and the features. Anyone with tinnitus can benefit from the ReSound ReliefTM app as part of a tinnitus management program. It offers a combination of sound therapy and relaxing exercises that aim to distract you from focusing on your tinnitus. or turn on the timer so you can fall asleep to soothing sounds. 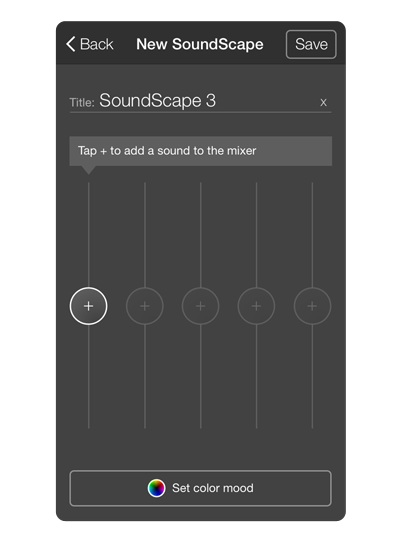 Create your own soundscape by layering up to five sounds. 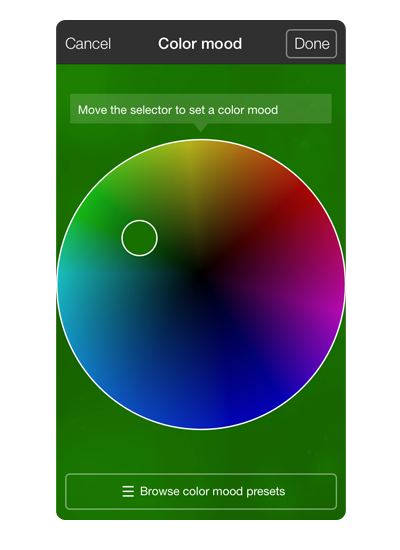 Customise the colour displayed on the screen. 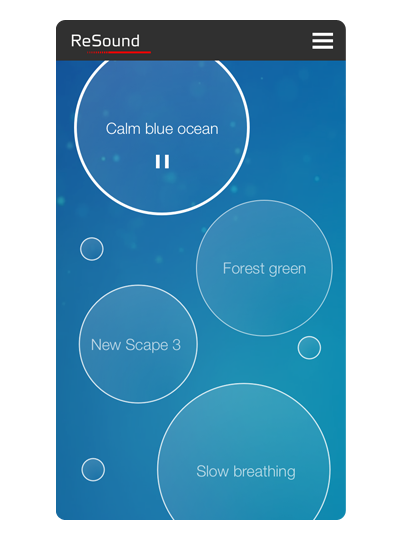 Tap on a soundscape bubble to begin playing it, or pop the smaller bubbles for a relaxing exercise. Keep track of how you use the app for your own benefit or for discussions with your hearing care specialist. Approximately 80% of people with tinnitus also have a hearing loss. ReSound hearing aids with tinnitus therapy – in addition to treating your hearing loss – have sound therapy built directly into the hearing aids to support your tinnitus treatment plan. The sound therapy is also adjusted to compensate for your hearing loss. You can speak to us anytime about the ReSound LiNX2™, the world’s smartest hearing aid that streams sound directly from iPhone, iPad or iPod touch. If you have any questions about the app, hearing loss or tinnitus, call us on 01 832 4007 or contact us online.